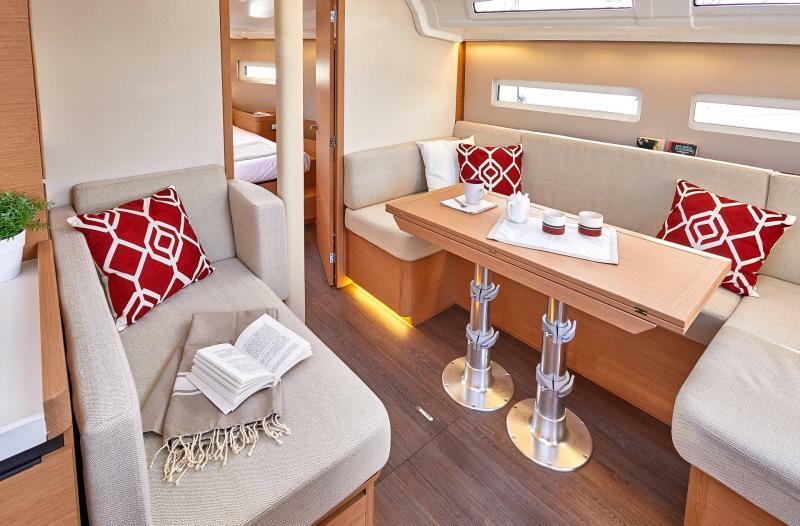 The Sun Odyssey 410 features a generous beam and walk-around deck, ensuring life on deck is comfortable and spacious, either under way or at anchor. 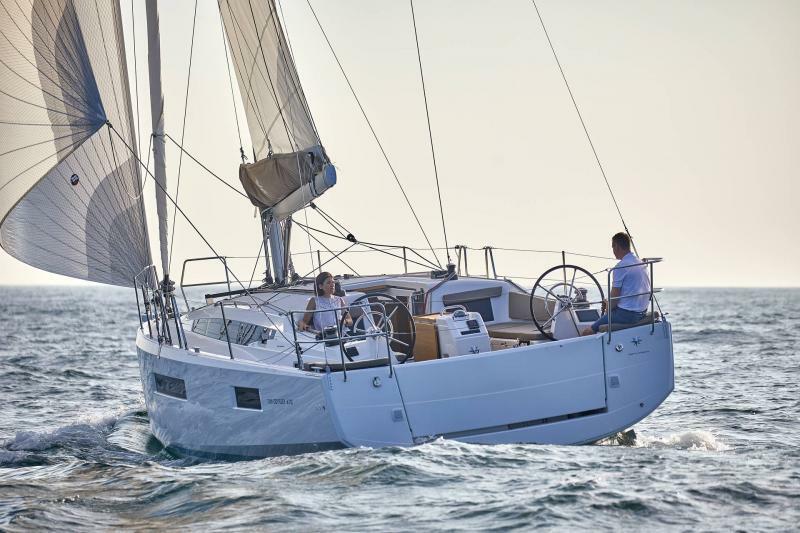 Simple sail handling is ensured through the use of an integrated bow sprit, inboard winches, and recessed wells for controls. 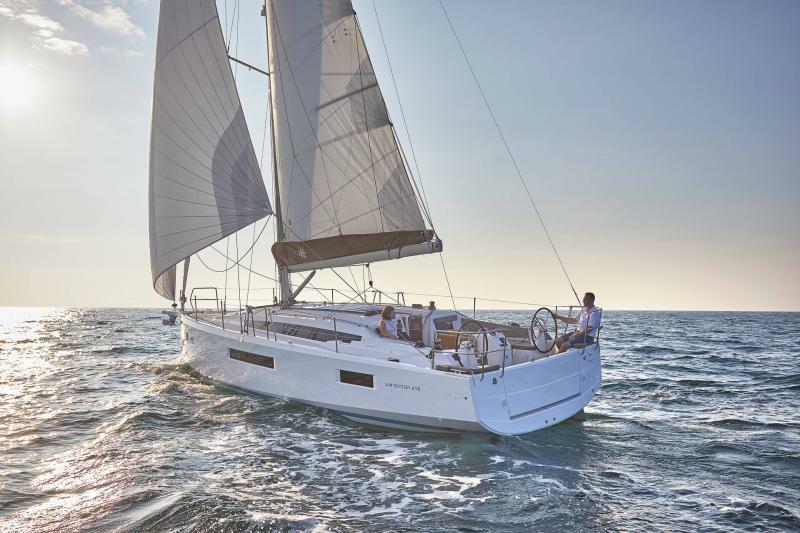 The Lombard-designed, hard chine hull combined with a high aspect cathedral rig, ensure this boat delivers on its high performance aspirations. In addition to higher performance than ever before, the new Sun Odyssey generation deliver comfort like never before. 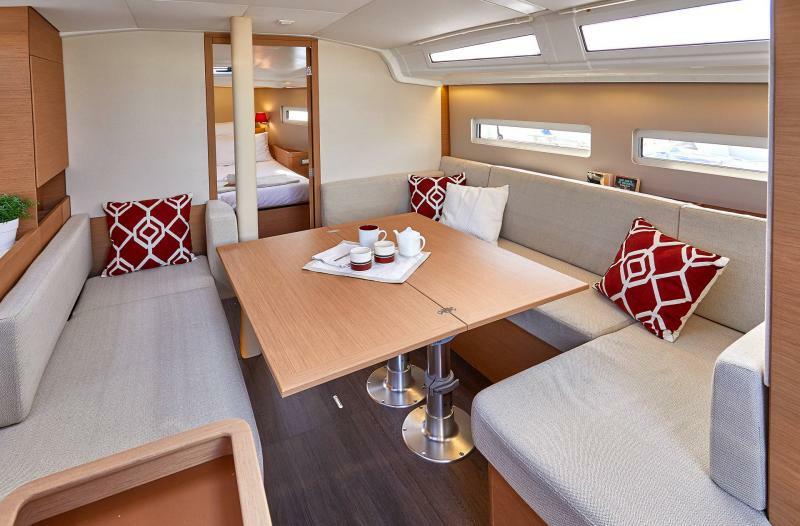 The new-style high volume hulls allow for bright, comfortable interiors. 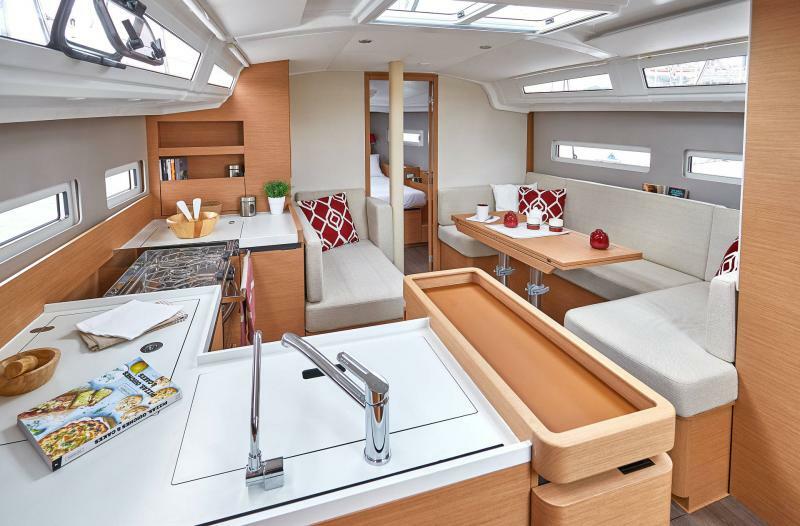 A contemporary, central galley is ultra-functional and with an abundance of storage. 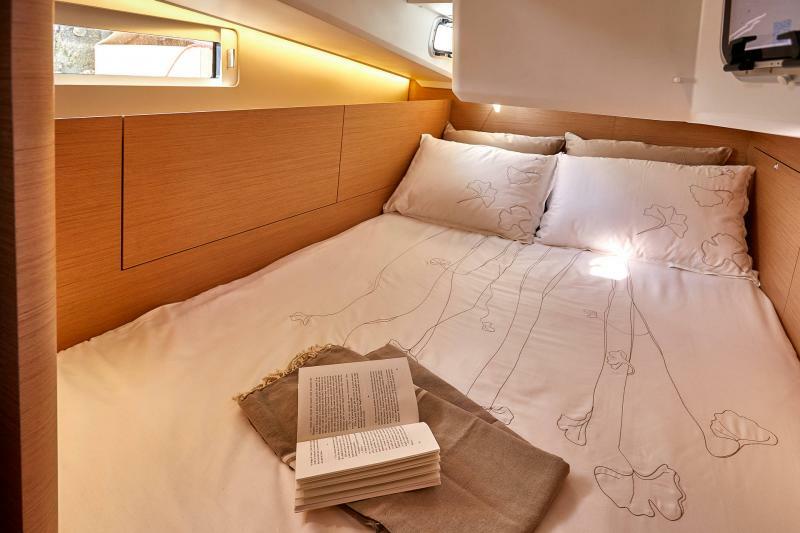 The central daybed, perfect for relaxation, is unique to the 410 and a key feature in this cozy saloon. 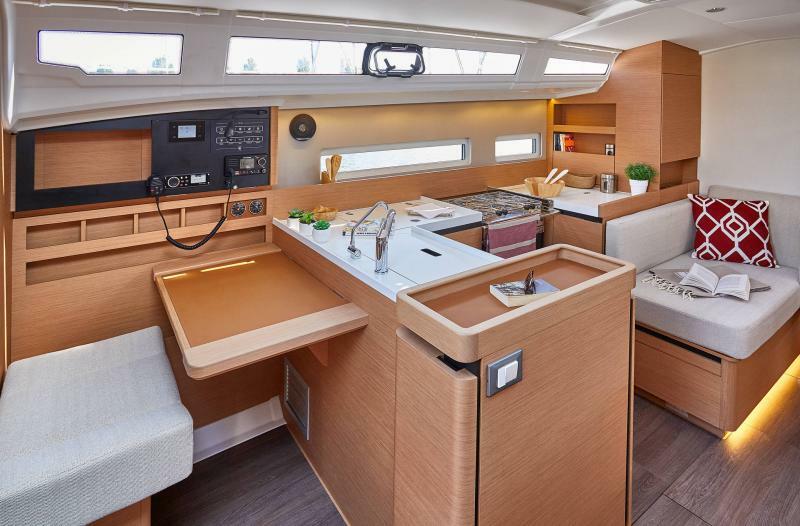 A large, fully functional nav station to port provides for plenty of room for serious navigation as well as additional electronics. 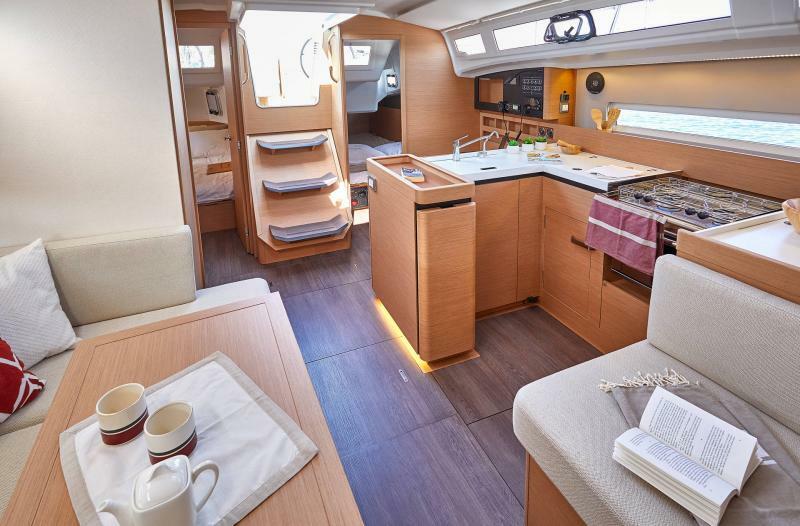 The 410 can be configured in a 2-cabin or 3-cabin arrangement with queen size berths. 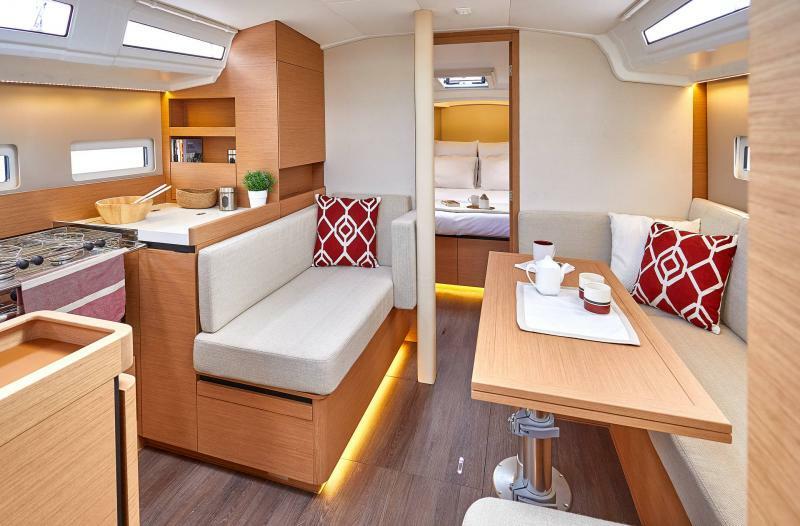 It is available with either a single aft head or an additional head forward in the master cabin. Both heads offer separated shower compartments. 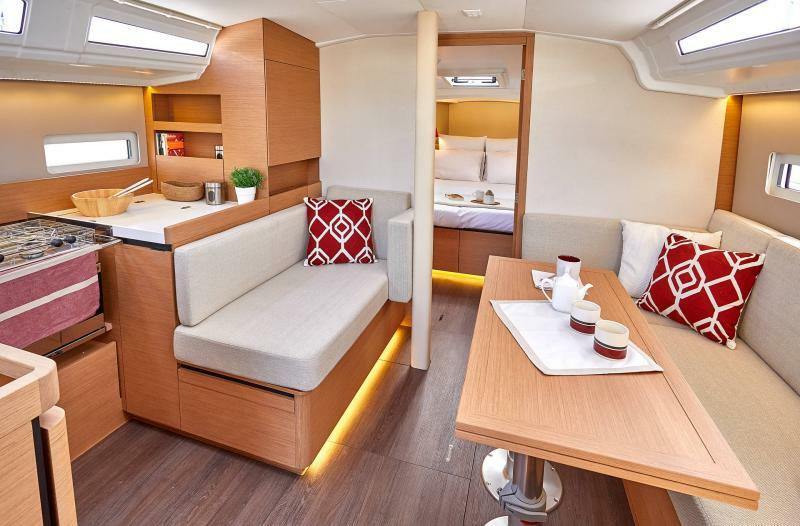 Whether overnighting, entertaining, or day sailing, the Sun Odyssey 410 strikes the perfect balance between performance and comfort.